In this section you can find all activities connected to the dissemination and exploitation of the Skillsup results. These include all kind of dissemination materials, presentations and pictures done during the workshops, national and international seminars and other project-related events. 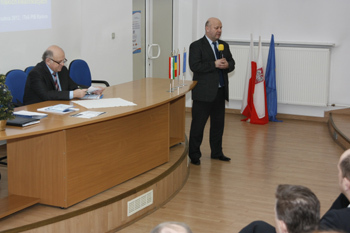 The kick-off meeting was held in Radom between 2nd and 3rd of February 2011. It was organised and coordinated by the Institute for Sustainable Technologies - National Research Institute. The meeting was attended by representatives of all the project partners. ITeE-PIB as the Coordinator presented the aims of the project, its objectives, tasks and schedule of activities' implementation. 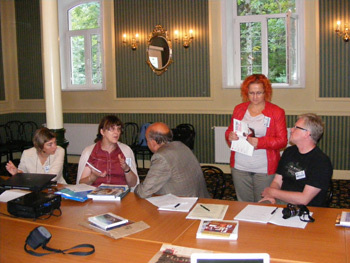 The second working meeting was organized by Universitatea Dunarea de Jos Galati (UDJG) in Sinaia, Romania between 14th and 17th of September 2011. During this two day meeting, project partners had the opportunity to exchange ideas on development of structure of the e-packages. There was also a discussion about the design for educational pages included in on-line and off-line IT platform. 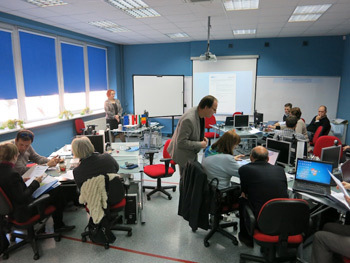 Third working meeting was held in Pasian di Prato (UD), Italy between 16th and 17th May 2012. 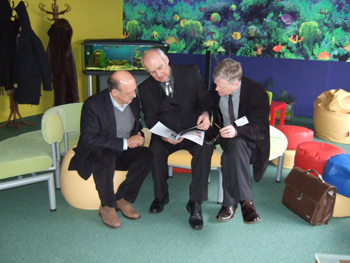 The workshop was prepared by ENAIP in cooperation with the training centre for building constructions CEFS in Udine. The most important issue of the two-day workshop was to familiarize the partners with prepared educational e-package for the module ”Technology of Interior Drywall Systems” adapted to the e-platform in on-line and off-line versions. The responsible partner presented the state of work development. All partners were able to review and discuss the content of the designed innovative e-packages. The partners also discussed the issues related with the outcomes of the project, such as project website or translation of the “Monitoring and Evaluation System of Employees’ competencies” for the needs of pilot implementation of e-package. 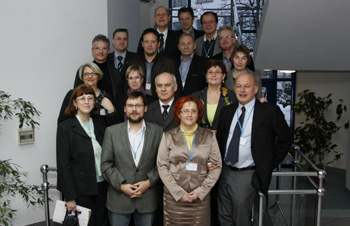 The final project meeting of the Skillsup project was held on 6th December 2012 at the Institute for Sustainable Technologies - National Research Institute in Radom, Poland. Participants of all partners institutions took part in the meeting. Partners summarised the project results achieved so far, discussed the piloting phase and presented their conclusions. 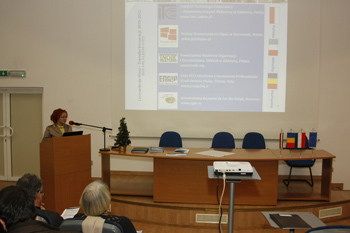 Strong impact was also put on dissemination activities and on dissemination seminars, one of the results of the project. Moreover, partners discussed the process of preparing the final report. 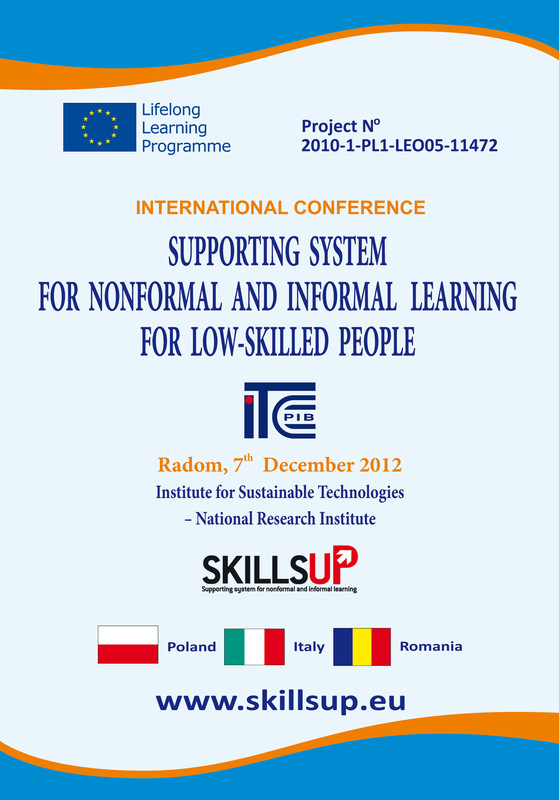 The final International Conference presented the results of the SkillsUp Project took place on 7th December 2012. 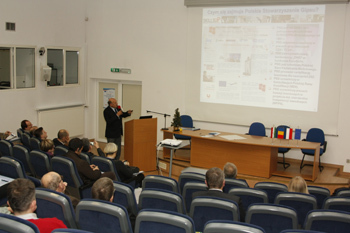 It was organized by Institute for Sustainable Technologies-National Research Institute in Radom. 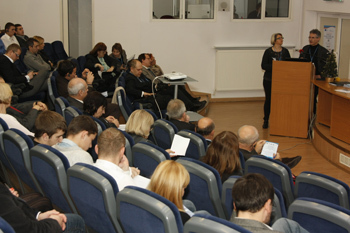 Almost 120 people participated in the conference. Among invited guests, there were representatives of local educational authorities of City Hall and Education Offices from different cities of Poland, members of The State Committee for Scientific Research by the Ministry of Scientific Research and Information Technology. Within invited quests were headmasters and teachers from many Polish educational institutions and Vocational Schools including Schools Complex, gymnasia (lower secondary schools) and post-gymnasium schools, Practical Training Centres, Continuing Education Centres, Public Accredited Teacher Training Institutions, Voluntary Labour Corps, Tadeusz Kościuszko Cracow University of Technology, Kazimierz Pułaski University of Technology and Humanities in Radom, Vocational Training Institutions / Centres, The Institute of Vocational Competence Certificate VCC conducted by Humaneo. 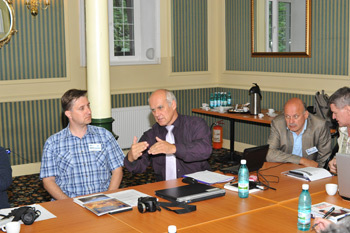 The conference was also attended by representatives of the construction industry such as Polish Gypsum Association. Among invited guests was also the director of the District Labour Office (Radom), as well as employers, students, teachers, and students of vocational schools in Poland and the low-skilled who are the main beneficiaries of the Skillsup project. The aim of the conference was the presentation of the Skillsup project results and their practical use in vocational education and training. During the conference was presented the e-platform, on which were placed educational packages adapted to e-learning technology. 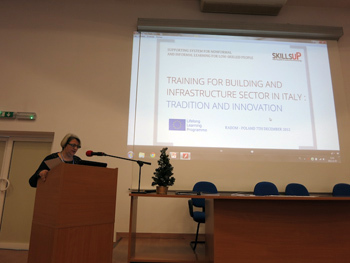 The educational e-packages developed in the SkillsUp Project is a tool supporting development of competences within the framework of the modular training program “Technology of Interior Drywall Systems” intended in particular for education and training of low-skilled people in nonformal and informal learning systems. 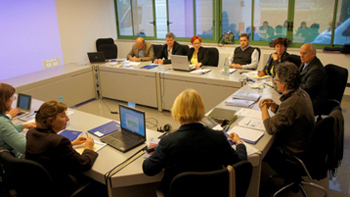 The educational e-package has been developed in four languages – English, Polish, Romanian and Italian - with the use of products transferred in the SkillsUp Project: modular training program and educational packages in the form of handbooks for both students and teachers which together make up methodological underpinnings of the training offered in the job of “Drywall System Fitter”. 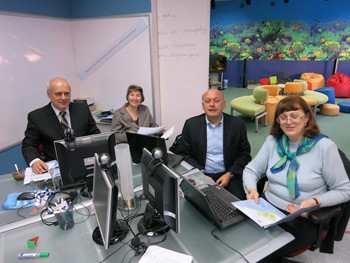 There were also presented procedural solutions including validation and certification of competencies using ECVET principles used in the project SkillsUp for four units of learning outcomes, which are the same as modular units: identification of materials used in drywall systems, installation of walls, installation of wall coverings, installation of suspended ceilings. Participants received a modular curriculum and educational packages in the electronic version, which support education and training for the use of drywall systems interiors. 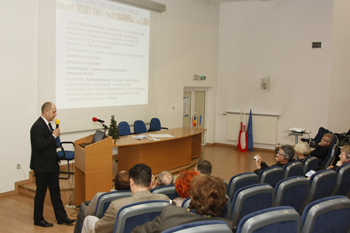 On 21st December 2012, in the Complex of Vocational Building School in Radom, took place a dissemination seminar of the project "Supporting system for nonformal and informal education for low-skilled workers" combined with a workshop session. 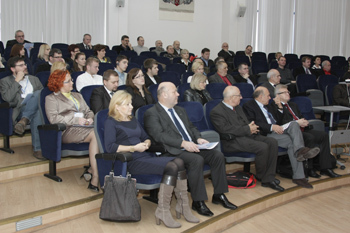 The meeting was attended by 43 participants representing mainly teachers and students of the Vocational Building School in Radom and also the representatives of the District Labour Office in Radom, Department of Vocational Training in Kielce Branch in Radom and employers in the construction industry. 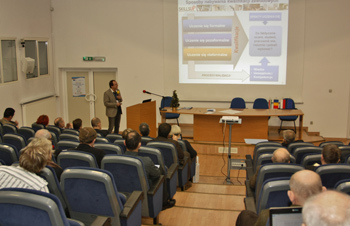 The agenda included the presentation of the objectives and the main results of the Skillsup project. 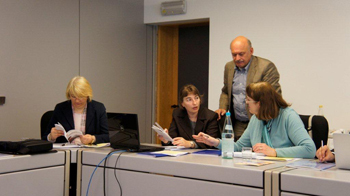 There were also presented the changes in vocational education and training in Poland. 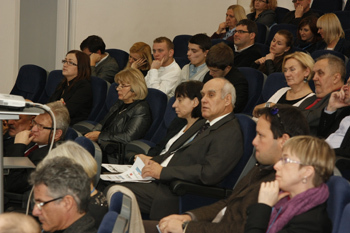 Increasing the relevance of vocational education and training to the labour market is in the scope of Polish policy to be achieved through several actions: strengthening cooperation between vocational schools and employers; engaging them in curriculum development and assessment of vocational qualifications; attracting highly qualified specialists to work in vocational schools; and increasing the quality of vocational education by adapting it better to the economic environment. Vocational education curriculum reforms will concentre on implementing a learning outcomes’ approach, promoting better integration of general and vocational subjects, and setting a minimum number of hours of practical training. Participants were familiarized with the computer tool supporting the diagnosis of competence in the profession of drywall installer. As part of the seminar, was conducted a short training with the use of e-platform: www.skillsup.ugal.ro concerning the educational e-package developed within the framework of the Leonardo da Vinci “Skillsup” Project, which was devised as a support for the development of competences covered by the modular training programme “Technology of Interior Drywall Systems”, addressed, first of all, to low-skilled workers. The e-package can be used as a form of support for the classes carried out in the traditional forms of education, in distance learning in formal and non-formal systems and as a tool of vocational self-learning and development in informal learning. The methodological and content-related structure of the e-package aims at facilitating the self-learning in terms of basic knowledge and skills acquisition in the occupation of “Drywall System Fitter”. The discussion highlighted the relevance of project outcomes to vocational training of young people who dropped out of the formal education system. Developed IT tool: Monitoring and evaluation system of employees’ competences http://www.en.diagnozowaniekompetencji.pl/ and Modular Training Programme for the specialization Technology of Interior Drywall Systems Systems and e-package can be trated as a support for the instructor and for student. The main teaching aim within the scope of specialization in Technology of Interior Drywall Systems, is to prepare a student for performing a variety of tasks within the area of finishing building works and develop a student’s knowledge and skills which gives him/her capacity to continue formal or informal education in future. The teaching process according to the modular training program within the target specialization is implemented in a vocational school. The training program encompasses general vocational education and specific vocational education. The general vocational education ensures students’ basic knowledge concerning building engineering. Specific vocational education prepares students for typical occupational posts and for performing duties related to the posts.